Experiential marketing for Toronto’s top commercial real estate brokers. 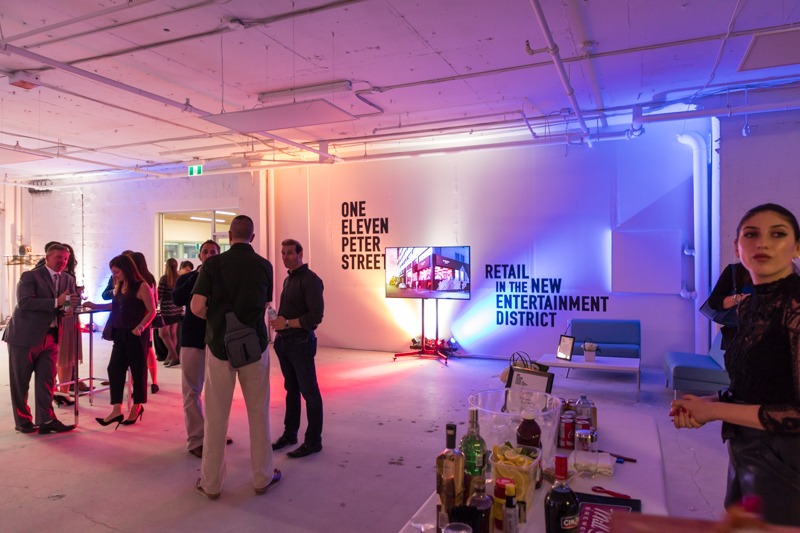 The 111 Peter Retail project was quite simply awesome. 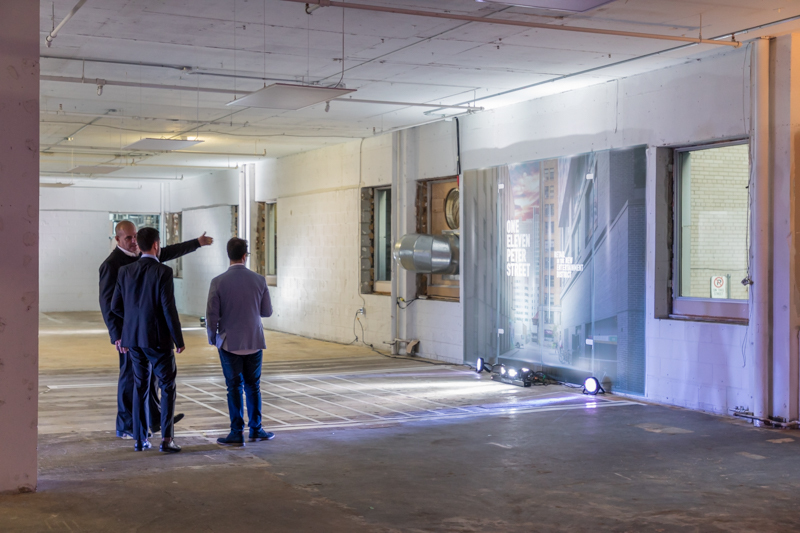 Savills Toronto needed to engage Toronto’s top brokers, showcasing the raw 11,000 SF space at 111 Peter Street as the incredible retail opportunity it is. The space is also totally divisible, so demonstrating that online and on-site was important. We started by deconstructing the area of Adelaide and Peter, the legendary Toronto Entertainment District. With most of the night clubs long since closed, the area has evolved; along with entertainment itself. Rather than the raging clubs, people are more inclined to go for dinner, shopping or have an experience with friends… you get the idea. We wanted to draw attention to this, hence the tag “Retail in the New Entertainment District”. 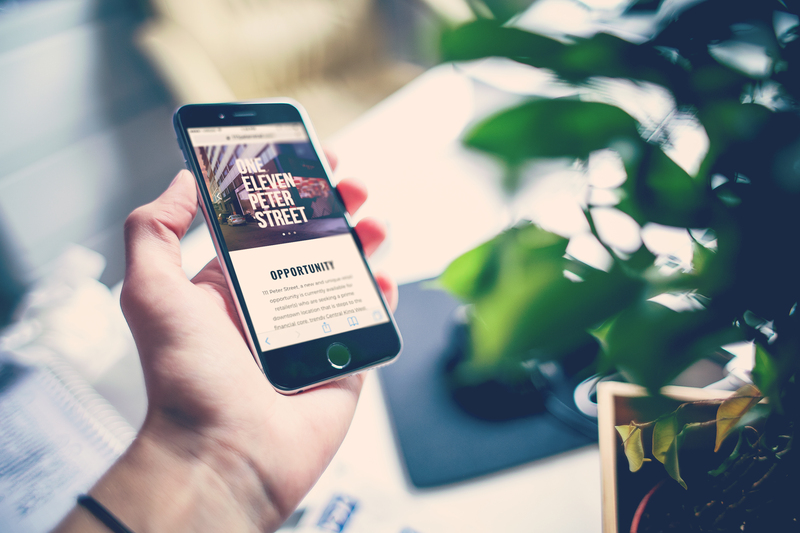 We developed the branding and website from here, making note to cover as much of the area’s high-points as possible. On-site, with the help of the Crown Property Management team the space got cleaned up, painted white and ready for guests. 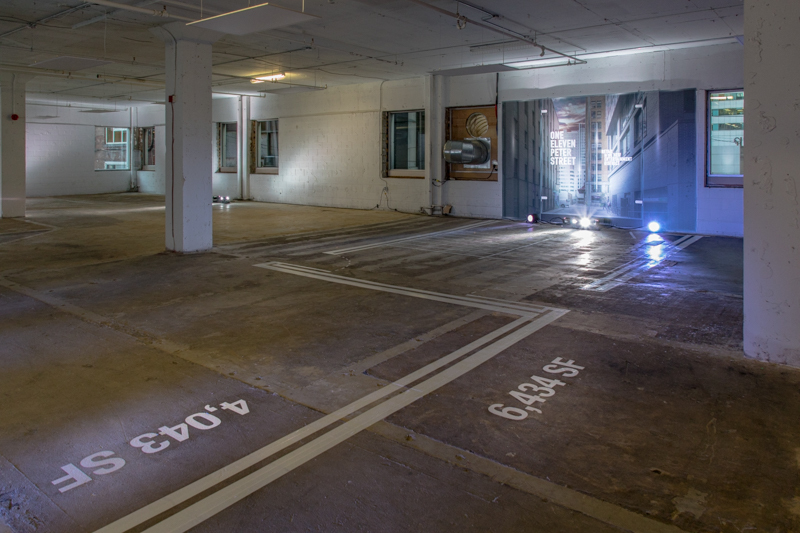 We fitted a wall with a life-size rendering of a potential new exit – including the actual view from behind the wall – we also helped illustrate the divisibility of the space with life-size floorplans installed directly on the floor to walk through. Then, we invited everyone down to see it! What better way to understand an area of a city like Toronto than to go there to attend a fabulous party? Experiential marketing was the name of the game! Tip: When showcasing potential retail it’s advised to create a VIP retail-style pop-up event. With the help of our event production partners over at Mode Events we were able to secure two TOM* Featured designers to set up shop in the space and showcase their best pieces to the VIP of Toronto’s commercial real esate world. An area wine merchant and a local restaurant even got on board to illustrate the hospitality potential for the space. 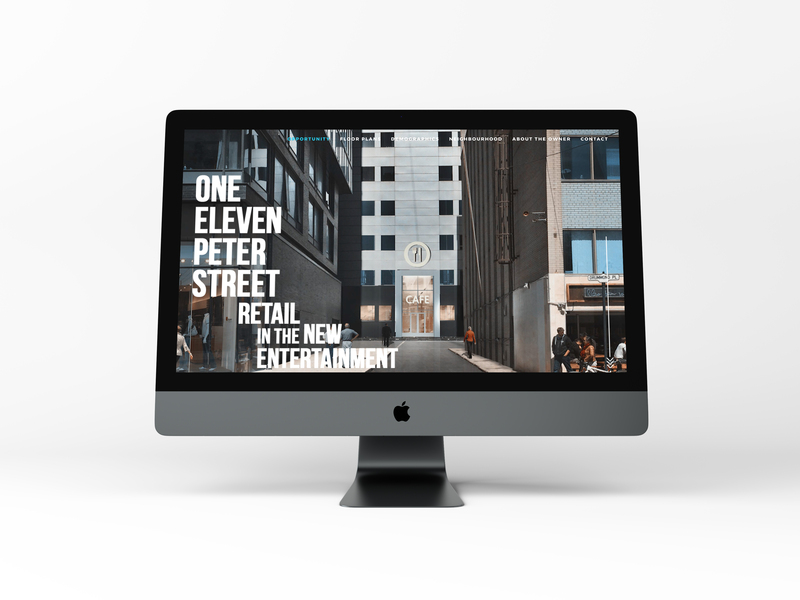 Visit 111peterretail.com to see the website in action!